Ballerina, American Ballet Theatre; chairperson of the Board, the Association Career Transition. Cynthia Gregory, whom Nureyev called America's prima ballerina assoluta, was celebrated as one of the world's greatest ballerinas during a career that spanned more than a quarter of a century. Much of Miss Gregory's early training was in her native Los Angeles with Carmelita Maracci. Awarded a Ford Foundation scholarship at age 14 to study with the San Francisco Ballet, she quickly rose to soloist and became a principal dancer shortly thereafter, while also dancing with the San Francisco Opera. 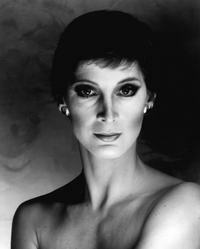 Miss Gregory joined American Ballet Theatre in 1965. In 1967, when ABT was on tour in San Francisco, Miss Gregory made an auspicious debut as Odette-Odille in Swan Lake. Her New York debut in the dual role later the same year marked her emergence as a major ballerina. Miss Gregory danced in more than 80 works at ABT. Her classical repertoire included lead roles in Giselle, The Sleeping Beauty, Copp_lia, Raymonda, La Bayadere, Don Quixote and La Sylphide. She also danced in such notable twentieth-century ballets as Balanchine's Theme and Variations, Apollo and Prodigal Son, Tudor's Jardin aux Lilas and Dark Elegies, DeMille's Fall River Legend, Tetley's Voluntaries and Gemini, Limon's The Moor's Pavanne and Culberg's Miss Julie. Roles created for her include Feld's Harbinger and At Midnight, Ailey's The River, Tharp's Bach Partita, Smuin's The Eternal Idol and Nahat's Brahams Quintet. Miss Gregory performed as a guest with many of the great dance companies of the world, including National Ballet of Canada, Zurich State Opera Ballet, San Francisco Ballet, Vienna State Opera Ballet, Ballet Nacional de Cuba, Teatro Colon Buenos Aires and Stuttgart, Munich and Berlin State Opera Ballets. Miss Gregory was the recipient of the 1975 Dance Magazine Award, honoring her dedication to, and enrichment of, the art of dance. In 1978 she received the Harkness Ballet Foundation's first annual Dance Award. She is the only recipient of two annual awards from Dance Educators of America-in 1981 and 1988. In 1988, New York Woman magazine gave Miss Gregory its first Showstopper of the Year award. The New York Public Library designated her a Lion of the Performing Arts in 1989. She received thelifetime-achievement Certificate of Merit from the National Arts Club in 1991. Hofstra University awarded Miss Gregory an honorary Doctor of Humane Letters degree in 1993, and she received an honorary doctorate from State University of New York-Purchase College in 1995. Miss Gregory is the author of Ballet is the Best Exercise (Simon & Schuster, 1986). Her children's book, Cynthia Gregory Dances Swan Lake, was published in 1990. Since 1991, Miss Gregory has been Chairman of the Board of Career Transition for Dancers, a not-for-profit organization that provides career counseling, scholarships and other vital services to dancers who, for reasons of age or injury, are making a career change. She stages classical ballets, coaches and gives master dance classes for dance companies around the world. A busy wife and mother, Miss Gregory devotes some of her free time to interpreting her most memorable roles through pen-and-ink and watercolor drawings.